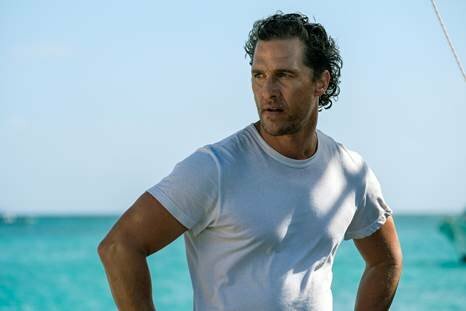 SKY CINEMA are delighted to announce the release of SERENITY starring Academy Award® winners Matthew McConaughey and Anne Hathaway, Jason Clarke, Academy Award® nominee Diane Lane, written and directed by Academy Award® nominee Steven Knight and produced by Academy Award® winner Greg Shapiro. SERENITY will be released in UK and Irish cinemas and on Sky Cinema on 1st March 2019. SERENITY tells a mysterious tale of Baker Dill a fishing boat captain whose past is about to crash up against his life on a small Caribbean island and ensnare him in a new reality that might not be all it seems to be.